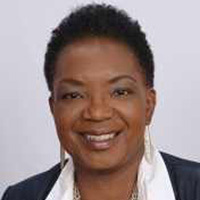 Patricia T. Morris is an internationally known leader in women’s empowerment and a gender-mainstreaming expert with a career spanning more than 25 years. She is President of Women Thrive Worldwide a leading organization that brings the priorities and solutions of women and girls living in poverty to decision makers. Dr. Morris previously managed a $5 million global portfolio of social and economic development projects at Development and Training Services. She also served as Executive Director of Peace X Peace, a global network of women peace builders in 120 countries. Earlier, at Women for Women International, Dr. Morris managed nine country offices in conflict-affected countries with a budget of over $12 million and responsibility for more than 450 overseas staff. She was Deputy Director of the Commission on the Advancement of Women at InterAction, an alliance of over 180 international relief and development organizations, where she led gender integration technical assistance for member organizations.